Summary: If you have been involved in a car accident caused by the negligence of another person, preserve any physical evidence of the accident. 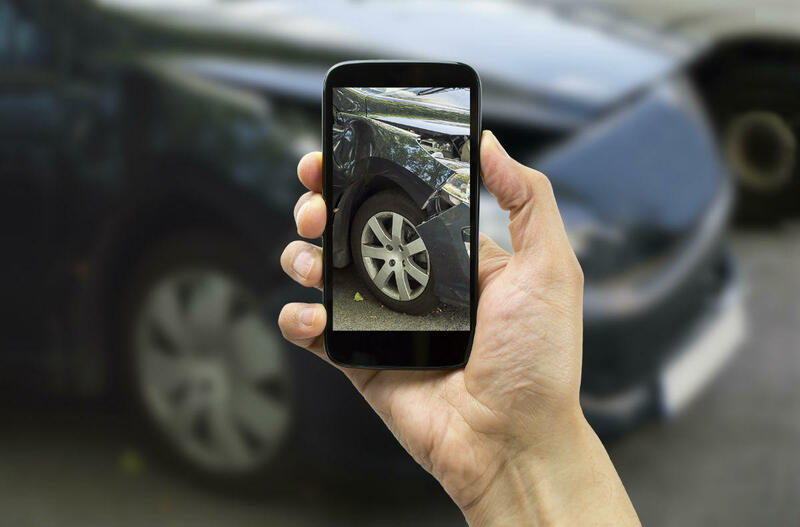 A car accident victim must do this as soon as possible after the traffic accident, because the accident scene may be altered, circumstances can change, memories can fade, and evidence can be misplaced or overlooked. Photographs are a good way to preserve evidence after an accident. Insurance companies require some kind of photographic evidence to document the vehicle damage to be covered by the insurance policy. According to experts, the process of properly photographing vehicle damage can be divided into three parts, which includes understanding of one’s camera features so that you can use them in the best possible manner, synthetic and natural lighting, which should be positioned correctly to reduce reflections and glare, and last, the requirements of the insurance company. Take a photograph of the damaged vehicle with the registration number visible. Take a photograph that shows the overall damage. Take a photograph showing the car’s mileage and speedometer. While doing so, keep the flash off as it will capture the details more effectively. Take photographs that accurately show the detail of the damage, for example, a close up of the broken trunk in a rear end collision. Take photographs of any specific damage such as burn marks on the car’s surface. Do not keep the camera too close as it may affect the quality of image. Keep the camera at a distance of about 2 feet, and use the zoom feature. Using a viewfinder instead of a monitor will help take better photographs. Take photographs to document the placement of logos, side panel moldings, and decals. If your car is dark colored, then most likely it will reflect the background. Use a marker to pin point and highlight the damage. Draw circles and arrows to mark the damaged areas. Our St. Louis car accident attorney reminds us that good photographs can act as a great piece of evidence in support of your claim. Take your photographs to The Hoffmann Law Firm, L.L.C. to present the evidence in the right light and get the compensation that you deserve.